Photo courtesy of Audrey Tang. Audrey Tang may very well be the world’s only transgender cabinet minister. Appointed in 2016 to the Chinese Lin Chaun cabinet in Taiwan, she is a minister without portfolio—or a minister who does not have a particular office but maintains a right to vote on ministry matters. A genius of the software world, her influence earned her the position, where she is called the “Digital Minister” in charge of streamlining the technological and communication needs of the Lin Chuan cabinet. “My existence is not to become a minister for a certain group, nor to broadcast government propaganda. Instead, it is to become a ‘channel’ to allow greater combinations of intelligence and strength to come together,” said Tang about her appointment. Now, two years into her position, she has settled into her role as one of breaking barriers. As a communications expert, she sees her responsibility to Taiwan as one of solving social problems. She has successfully bridged gaps between old and young members of government, in a role that is a mix of politics and business. “I think that common value finding is of utmost importance to the governance nowadays when it comes to social entrepreneurship,” said Tang. She also believes in radical transparency for the government, and has worked tirelessly to make sure every action she is involved in is available for public scrutiny. 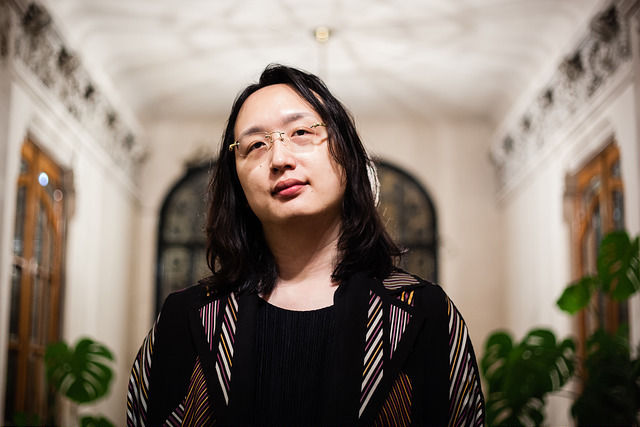 Tang, who has been out all her adult life about her gender identity and formally transitioned in 2005, has little to say about LGBT rights in relatively progressive Taiwan. The country has made major improvements in transgender people’s rights these past few years, including the right to identify as any gender on one’s identification card, granted only this past January.